New Delhi : Two of the biggest cricket giants India and Sri Lanka are up in arms against each other in the second semifinal Today, after slugging it out in the group stage of the ICC Champions Trophy. 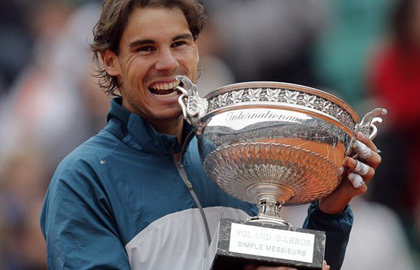 Paris: Rafael Nadal coped with an on-court intruder and the Paris rain to beat fellow Spaniard David Ferrer and win a record eighth French Open title. 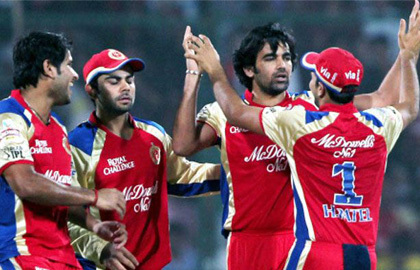 IPL spot-fixing: Rajasthan Royals to suspend co-owner Raj Kundra? New Delhi: Rajasthan Royals issued a statement on Friday saying that if proven guilty of betting, co-owner Raj Kundra will be suspended, as per reports. New Delhi : On Wednesday Sreesanth spent his maiden sleepless night in a small cell in Tihar jail, ate "dal-chawal" with other prisoners, jail officials said. Bangalore: In every edition of the Indian Premier League (IPL), the Royal Challengers Bangalore (RCB) always looked like the team to beat -- but they failed to deliver every time. New Delhi: India today completed a historic 4-0 clean sweep against Australia by recording an emphatic six-wicket victory in the fourth and final cricket Test here today. London Olympics 2012 - closing ceremony!